SSG Jeremiah Johnson of the 3rd Special Forces Group was killed on Wednesday, October 4, 2017 in Niger as a result of hostile fire. He was participating in a joint patrol of U.S. Army Special Forces and host nation military forces that was conducting a reconnaissance mission. The SF team and Nigerien troops were in southwestern Niger near the Mali border when they were attacked by a militant group of 50 plus fighters. Two other U.S. members of the patrol, also from 3rd SFG(A), were killed and two detachment members were wounded. The wounded were evacuated from Niger and transported to Landstuhl Regional Medical Center in Germany. Johnson, age 39, was from Springboro, Ohio. He enlisted in the Army in October 2007. His unit is based at Fort Bragg, North Carolina. He was a Chemical, Biological, Radiological, and Nuclear (CBRN) Soldier assigned to Group Support Battalion, 3rd SFG(A). His awards and decorations include the Army Commendation Medal (2nd Award), Army Achievement Medal (5th Award), Army Good Conduct Medal (3rd Award), National Defense Service Medal, Global War on Terrorism Service Medal, Armed Forces Service Ribbon, Noncommissioned Officer Professional Development Ribbon, Army Service Ribbon, Parachutist Badge, Air Assault Badge, Driver and Mechanic Badge, and Marksmanship Qualification Badge. Soldier from Springboro killed in Africa, WHIO TV 7, October 6, 2017. Springboro soldier killed in action in Niger, WLWT 5, October 6, 2017. 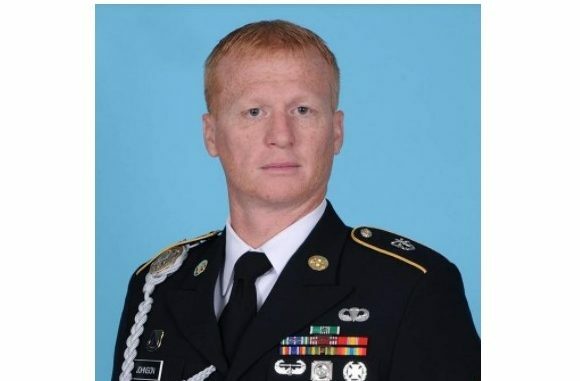 Special Operations Commando from Springboro killed in Niger attack, WCPO Cincinnati, October 6, 2017. Local soldier killed in combat, Dayton Daily News, October 6, 2017.